NBCUniversal Television Consumer Products and TIME-LIFE have announced the release of three new DVD collections featuring The Best of the Dean Martin Variety Show to be released May 24. The Best of the Dean Martin Variety Show sets capture material never before released from some of the shows greatest episodes during its nine-year run on television from 1965 to 1974. 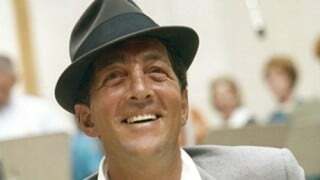 Hosted by Dean Martin, the acclaimed variety and comedy show was one of the highest-rated in television history, garnering 12 Emmy nominations and a Golden Globe award (Dean Martin “Best Actor in a Comedy Television Series” 1967), frequented by hundreds of guests from across the world of entertainment including legendary actors and actresses from the stage and screen, pop and jazz singers, dancers and comedians. View a five-minute trailer of The Best of the Dean Martin Variety Show exclusively on YouTube. For the first time ever, The Best of the Dean Martin Variety Show will be available as a single DVD, double DVD set, and six-DVD Collector’s Edition, officially from NBCUniversal Television Consumer Products and TIME-LIFE. Each DVD, more than two hours long, features several episodes including guest segments, comedy sketches and over a dozen full-length musical performances, with additional bonus material starring regular show performers and extensive liner notes. 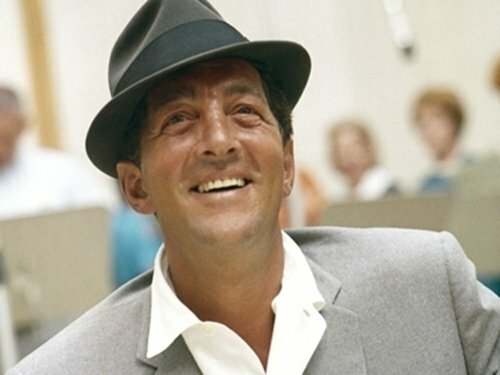 The Best of the Dean Martin Show single DVD includes four show episodes with more than 15 musical performances; the double DVD set includes seven show episodes featuring more than 30 musical performances; and the six-DVD Collector’s Edition includes more than 50 guests and 80 musical performances. The Dean Martin Show ran for nine seasons, airing on NBC from 1965 to 1974. Hosted by legendary entertainer Dean Martin, the unique variety and comedy show was a television pioneer. There were no rehearsals, no re-takes, and Martin simply just wasn’t a host behind a desk and a microphone – he took part in virtually all the segments. Whether talking and singing with guests or performing a comedy sketch, Martin put every guest at ease and was able to coax even the most serious actors (such as Orson Welles and Jimmy Stewart) to indulge in their comedic and musical sides. Guests had a great time, word got out, and after the initial success of the show EVERYONE wanted in on the act. Show regulars such as Rodney Dangerfield, Dom DeLuise and Nipsey Russell are featured in recurring comedy sketches on show episodes, while guests chosen by Martin included legendary actors and actresses from across the stage and screen, pop and jazz singers, dancers and comedians. Highlights from the one disc and 2-DVD set include guests Get Smart actor Don Adams, Grammy Award-winning singer Tony Bennett, actor, comedian and writer George Burns, actress Florence Henderson in a comedic guest performance prior to the debut of The Brady Bunch, Bob Hope in his only appearance on the show, Sid and Marty Krofft’s famed “Krofft Puppets,” actor Michael Landon performing several over-the-top song and dance numbers at the height of Bonanza’s popularity, comedian and near-show regular Bob Newhart, famed dancer and actress Juliet Prowse, comedian Don Rickles, legendary singer and actress Dinah Shore, distinguished actors Jimmy Stewart and John Wayne, renowned director/actor/writer/producer Orson Welles, comedian and actor Jonathan Winters and more. The four added DVD’s featured in the six-DVD Collector’s Edition set include 12 additional shows with guest segments from actor, comedian and playwright Woody Allen, country singer Eddie Arnold, comic actor and writer Sid Caesar, cohort Sammy Davis Jr., comedienne and actress Phyllis Diller, English comedian and actor Marty Feldman, comedian, actor and television show host George Gobel, actor Andy Griffith, Broadway and film star Gene Kelly, comedian and actor Paul Lynde, actress and comedienne Kay Medford, Broadway and film comedienne Ethel Merman, country singer/songwriter Roger Miller, actor Robert Mitchum, actor Charles Nelson Reilly, actor Peter Sellers and many more. Musical guests include the Andrews Sisters, Duke Ellington, and many, many more. 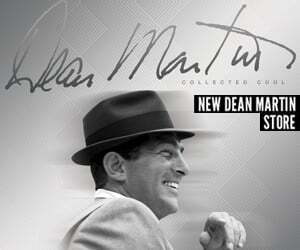 Celebrate Valentine’s Day with the signature Dean Martin Martini Gift Set. 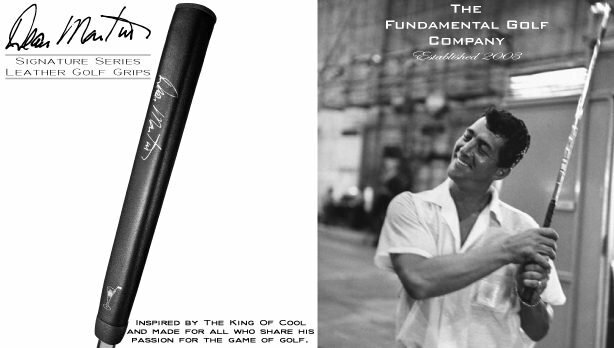 The leatherette case displays Dean Martin’s signature on the front exterior. Inside the velvet lined case you’ll find a stainless steel cocktail shaker along with two martini glasses, two olive spears, a jigger, a funnel and a flask. Dream with Dean this Valentine’s Day! Available for $74.98, order now.